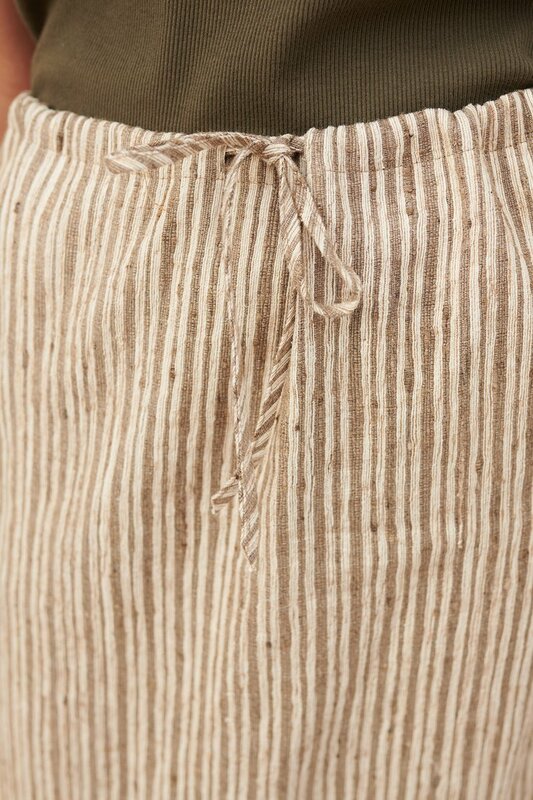 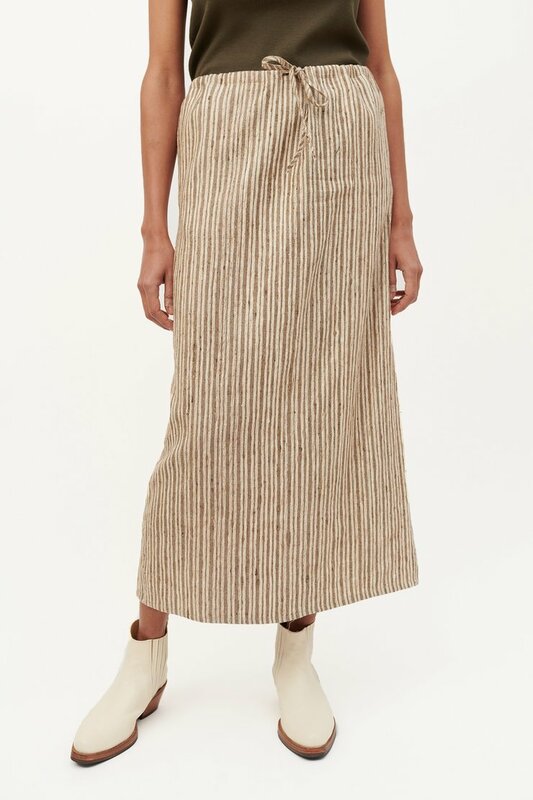 Our Sack Skirt in Raw Silk Stripe. 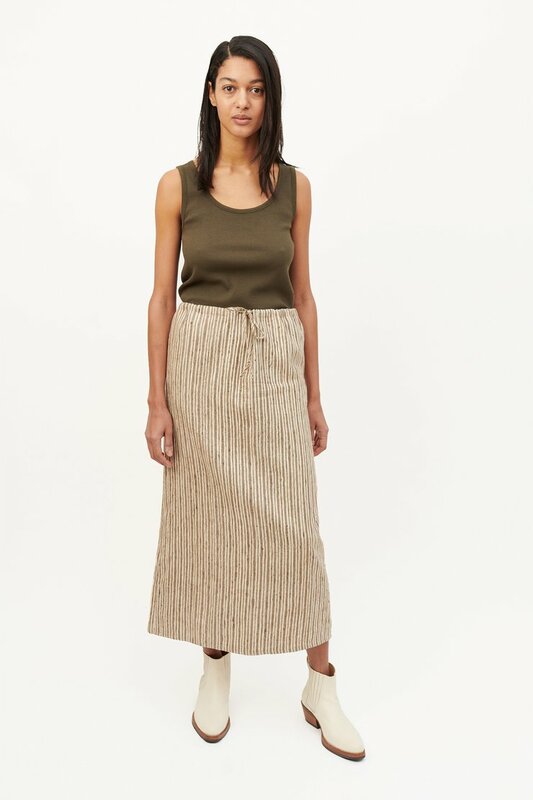 Produced in an Indian fabric which is hand spun from wild silk, the straight cut womens Sack Skirt features a textured, irregular stripe pattern, a drawstring waist, side pockets and a central back slit. 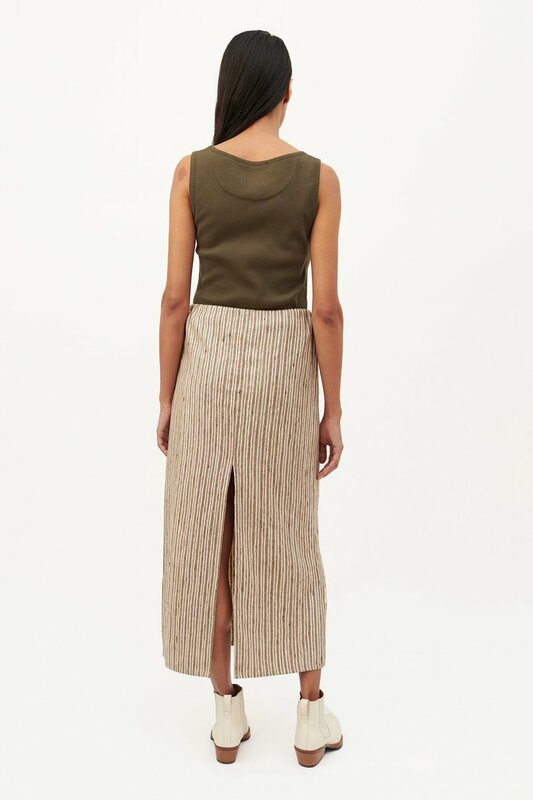 Our Sack Skirt fits has a relaxed straight fit and an adjustable waist band. 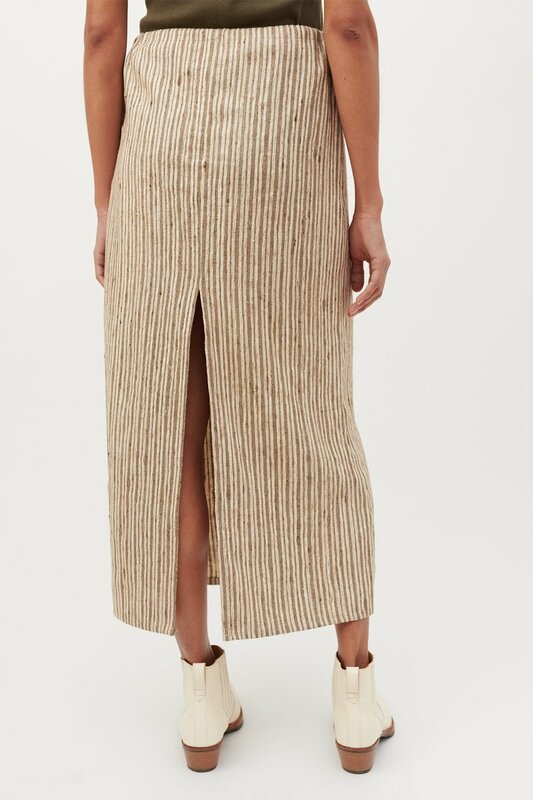 The model is 175 cm and is wearing a size 36.